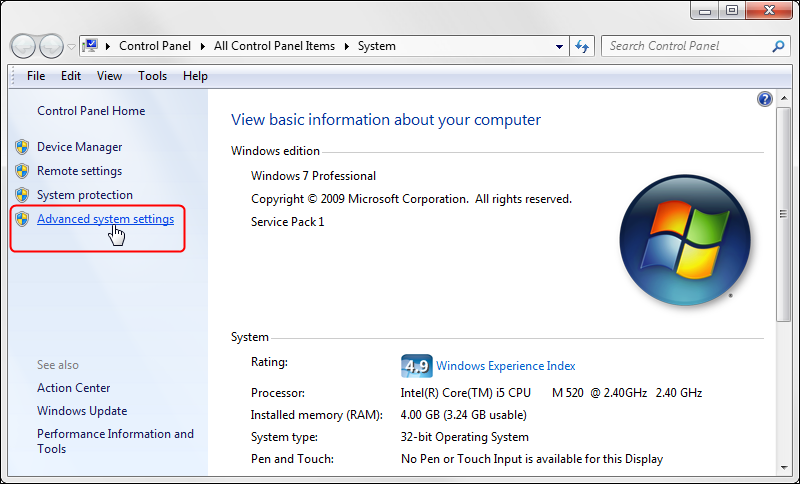 I like the Aero Themes of Windows 7, but one thing was driving me crazy. The Window Peek feature that would blank out all other windows if I let my mouse hover a little too long when selecting a new window on the taskbar. I use my PC as a Home Theater PC. I have 2 monitors, with the second monitor duplicated onto a projector. I often multitask, and do work on Screen 1, while the family watches a movie on screen 2. The peek feature would momentarily blank out the movie my family was watching on the projector as I was working on screen #1 while I was trying to select another window. Of course, one solution is to just use the Basic Themes, but I understand that the Aero themes actually take some load off the CPU by shifting the display tasks to the GPU, so other than looking pretty, Aero does have some advantages. Unchecking the "Use Aero Peek to preview the desktop" under Taskbar properties does not fix this problem. That only disables desktop peek if you hover over the little desktop button on the lower right of your screen. 1. 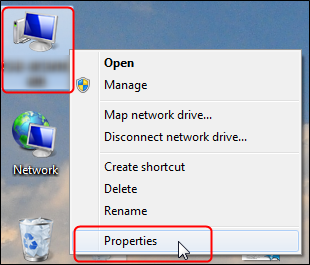 Right-click on Computer icon on Desktop. Select Properties. (Alternatively, press WIN + Pause/Break keys). 2. 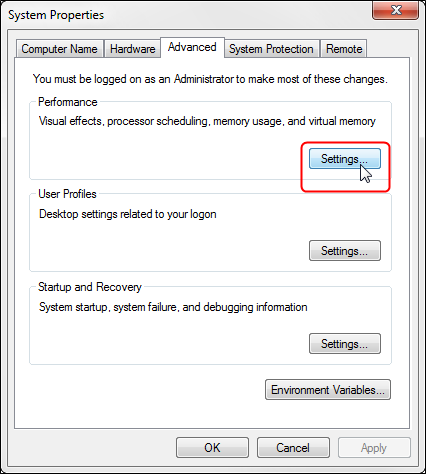 Click on Advanced system settings link in left side pane (You can open it directly by giving sysdm.cpl command in RUN or start menu search box). 4. 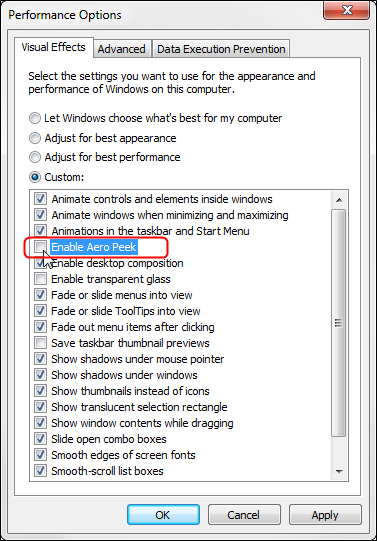 Now uncheck "Enable Aero Peek," and click Apply and/or OK.